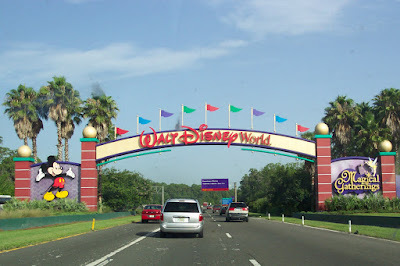 My Amazeing Journey: Countdown To Disney! 6 Days until I fly to Orlando to meet up with Eddie, Ambre, Madison, and Baby Eddie for my first Disney vacation since 1983! Fun!!! I have a lot to do in order to prepare...today I ordered a new digital camera. I hope it's a good one! I also bought an IPOD Nano. I'm not sure how to work the IPOD, but I should be able to figure it out! I also got a new haircut and bought a few spring clothes for the trip. I leave Friday after school and will return on Wednesday. I can't wait to see Mickey and his Friends and most of all to see Madison's reaction to all of it. Pray for little Maddie. She's been very sick with a temperature and sore throat for a couple of days. Also pray that Baby Eddie doesn't get sick. Have fun! I love Disney! I have never been to Disney World (although I have been to Disneyland around 30 times - literally).